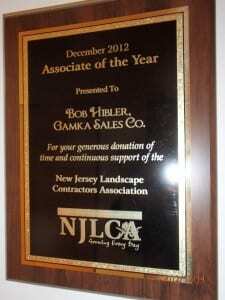 On December 11, 2012 at the New Jersey Landscape Contractors Association Annual Holiday Gala and Awards Presentation, a Special Award was announced for Associate of the Year 2012, Gamka Sales Co. Inc. Accepting the award on behalf of the company was Bob Hibler, Gamka’s Director of Marketing and Chairman of the NJLCA Board of Directors. 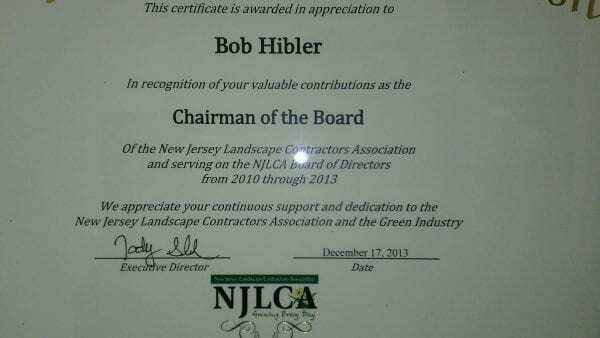 Bob pointedly thanked everyone present for the honor and said it “was a pleasure to serve”. This is the second time Gamka Sales was named for this prestigious distinction. Gamka was also honored in 2010. We are proud to support this organization. 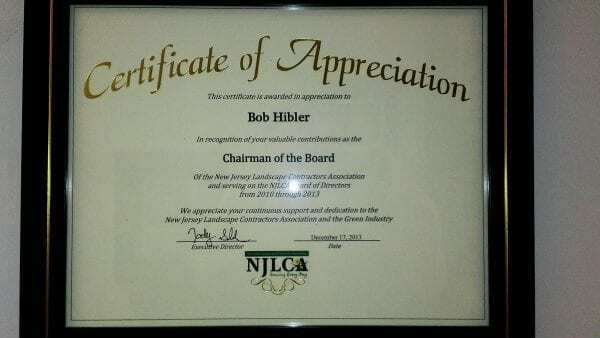 To send an e-mail to NJLCA! Their website is www.njlca.org – please consider joing their organization if you are a landscape contractor.